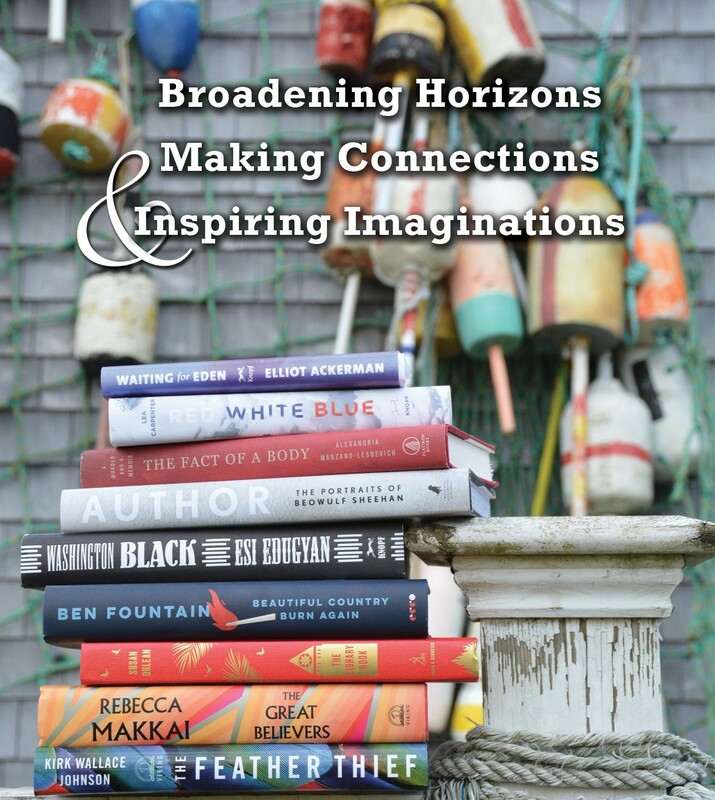 Now in its eighth year, the Nantucket Book Festival has established itself as a major summer destination for book lovers with impressive and eclectic line-ups of award-winning authors. The four-day Festival, June 13-16, will offer author readings, panel discussions and social events in an informal atmosphere that encourages conversations between writers and readers. Most of the Festival events are free and held within walking distance of the ferries. Some highlights of this year’s Festival include presentations by acclaimed authors Esi Edugyan (Washington Black), Susan Orlean (The Library Book), and Craig Johnson (the Longmire series). Fans of Elin Hilderbrand can share a Summer of ’69 Luncheon at the Nantucket Yacht Club, while Nathaniel Philbrick, the island’s favorite literary son, will be discussing In the Hurricane’s Eye: The Genius of George Washington and the Victory at Yorktown, the third in his Revolutionary War series. Readers interested in medical advances will enjoy presentations by Charles Graeber, author of The Breakthrough: Immunotherapy and the Race to Cure Cancer, and Matt McCarthy, MD, author of Superbugs: The Race to Stop an Epidemic. Nantucket authors Steven Axelrod, Blue Balliett, and Cherie Burns headline a mystery panel, while Madeline Miller, John Burnham Schwartz, and Lea Carpenter will discuss their craft over lunch with fiction lovers. Other authors who will be participating represent a variety of genres and subjects including mystery, science, memoir, history, poetry, politics, and conservation. A complete listing of authors may be found here. To highlight the active literary community on the island, the Festival will host an outdoor tent in the Nantucket Atheneum garden of local authors selling and signing their books during the weekend. There will be story times for youngsters on Friday morning, as well as a free Barnaby Bear event at the Dreamland Theater on Saturday morning where children can make their own books. Other events include the Friday evening Author Dinner at the White Elephant Resort, which is a fundraiser for the Festival (tickets will be available in late April), followed by a new Festival After-Party at the Lemon Press restaurant. Also new to the Festival will be a Saturday cocktail party celebrating Cru Restaurant’s cookbook, which will be published in May. YANKEE MAGAZINE named the Nantucket Book Festival FIRST in their "Top 10 Best Book Festivals in New England" article! You may read the full article here.